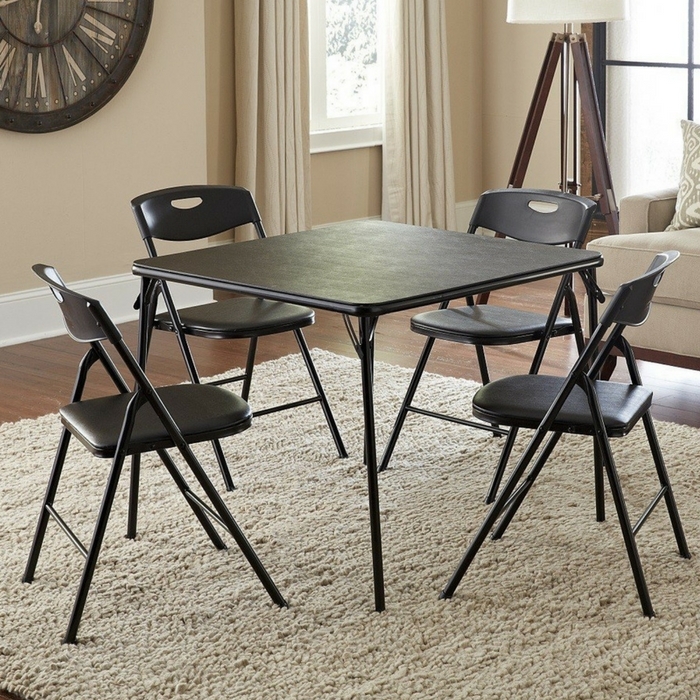 Cosco 5-Piece Folding Table & Chair Set Just $49.87! Down From $84! PLUS FREE Shipping! You are here: Home / Great Deals / Amazon Deals / Cosco 5-Piece Folding Table & Chair Set Just $49.87! Down From $84! PLUS FREE Shipping! This is something you shouldn’t miss! Amazon is currently offering this Cosco 5-Piece Folding Table & Chair Set for just $49.87 down from $84.58 PLUS FREE shipping! Be ready for guests with instant seating for four! Comfortable for entertaining and compact for storage this table and chair set features durable steel frames and a powder-coated finish. The tables and chairs are made of a sturdy steel frame and rubber tips to protect your floors. They fold for easy storage when not in use. Awesome! Hurry and don’t miss this deal!